A lot of sources tell you that making mayonnaise at home can be a very daunting process. And so many of us, not wanting to waste precious time and ingredients simply buy the stuff that comes in a jar from the store. Now don't get me wrong, I don't condone the store bought stuff. As a matter of fact, we always bought ours from the store till a few years ago, when my husband and I decided to try making some at home one weekend. What brought this one, you ask? Well, honestly, till date, we haven't been able to figure that out but I'm really glad that we tried it out. The outcome - we never bought mayo from a store again. Its a very simple process, don't let anyone tell you otherwise. If we can do it, so can you. I did a little bit of reading before we tried it out and a lot of sources tell you to keep a 1:1 ratio. ie. 1 egg to 1 cup oil. Thats the basic. I suggest you tweak the flavor to your liking. 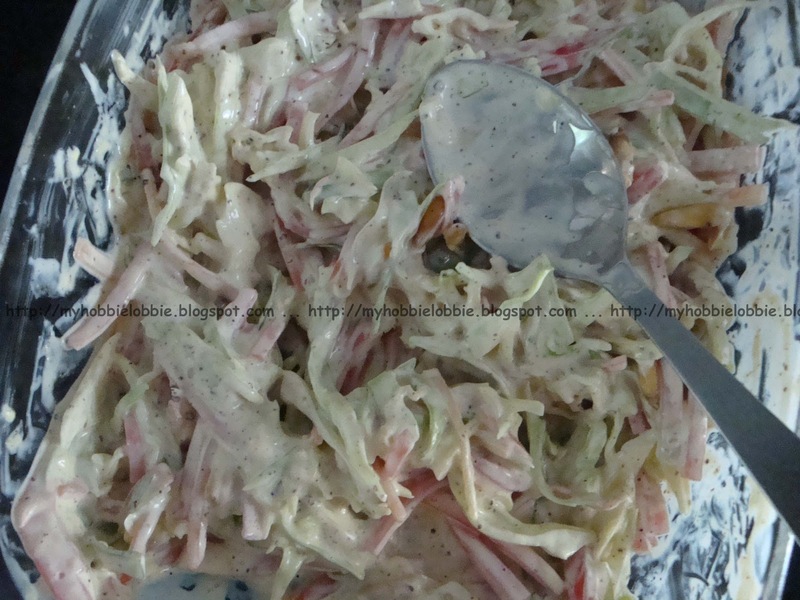 We made a double batch of this mayonnaise for the barbecue party and used it for both, the cole slaw and the cucumber salad. Both recipes to follow. Put the egg, mustard, a pinch of salt and a little sugar into a blender. Blitz for a few seconds to get it started. Keeping the blender running, carefully and slowly add the oil in a stream through the top of the jar (the opening through which you can add liquids). Make sure that you add the oil slowly. Once it starts thickening, stop the blender, taste adjust seasoning, add the lime juice or vinegar and blitz again for a couple of seconds. NOTE: If you find that after thickening, the mayo looks like it has sort of split, don't worry. This simply means you've added a little too much oil. Simply add another egg to it and blitz again. You may need a little more oil but add gradually only till it thickens. While the 1:1 ratio works most of the time, its success also depends on the size of the egg. So start of with about 1/2 to 3/4 cup of oil. If you've reached the desired consistency, you can stop adding the oil. If you need more of it, feel free to do so. Transfer to a clean and dry glass jar and refrigerate. I use this in salads, sandwiches, and other dressings as well. I hope you try making your own mayonnaise at home.If you do, I'd love to hear how it worked for you. 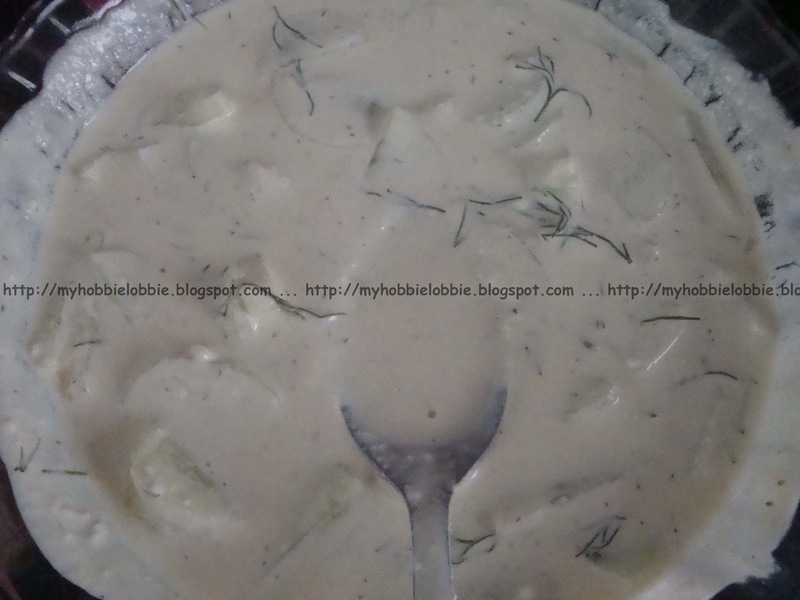 Hi Trisha...really nice to "meet" you here on the blogosphere...thank you for your comment on my blog..and how did the paneer chilli turn out? :-)...I like your writing style and the diverse recipes here, will be exploring your site often now! Your bundt cake looked appetizing-I too have been hunting for a bundt pan but not been lucky till date...by the way, what brand cream cheese did you use (Amul is the only brand I've seen here! )...My mom too makes mayonnaise at home, the same way, and it's always more delicious than the storebrought one! Karishma, we enjoyed it last evening. 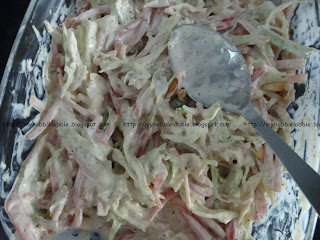 I used Britannia Cream Cheese - its one of their recent launches and is different from their cheese spread range. I picked up my Bundt pan at Hypercity, I dont know if they have an outlet in Kerala but keep checking with the place you pick your regular baking pans. I've started taking pictures of the things that I want and show it to my baking supplies store. Its easier than explaining what I'm looking for and sometimes the guy actually starts stocking those products. Well done. I've tried mayo at home too. And its not a daunting process. Umm, this looks good! I'll have to give it a try. I tried homemade mayo just once - and it didn't work at all. You've inspired me to give it another try! What happened? I'm no expert but maybe I can help you fix it! Hi and thanks for visiting my blog. :) I've been looking around your blog and really enjoyed it. This recipe especially intrigued me, as I have wanted to making my own mayo for some time. Thanks for sharing this, and I am now a follower. Thanks for stopping by April!! !